“Chemical exposure is among the leading causes of chronic disease in America” (1). When I read that, I panicked a little. I’m not going to lie, I do have the occasional tendency to panic when it comes to diseases. In September 2009, I caught swine flu and was convinced I was going to die there and then, quarantined in my room surrounded by a pile of Jane Austen books. So I decided to do a bit of investigating into the chemicals I put on my face, hair and skin every day. Nowadays almost every shampoo, conditioner, shower gel, moisturizer, cleanser and toner is packed with a list of unpronounceable cosmetics a mile long. I did a bit of digging to find out exactly what we are putting on our faces and what to avoid in everyday cosmetic products. To be honest, it was an awful amount of effort and incredibly confusing to make sense of which precise chemicals are bad for you and the environment and why. I am by no means an expert on the subject, but hopefully my findings below will make things easier for those of you who have often thought about trying to limit the number of ‘bad’ chemicals you put on your skin but don’t know where to start. 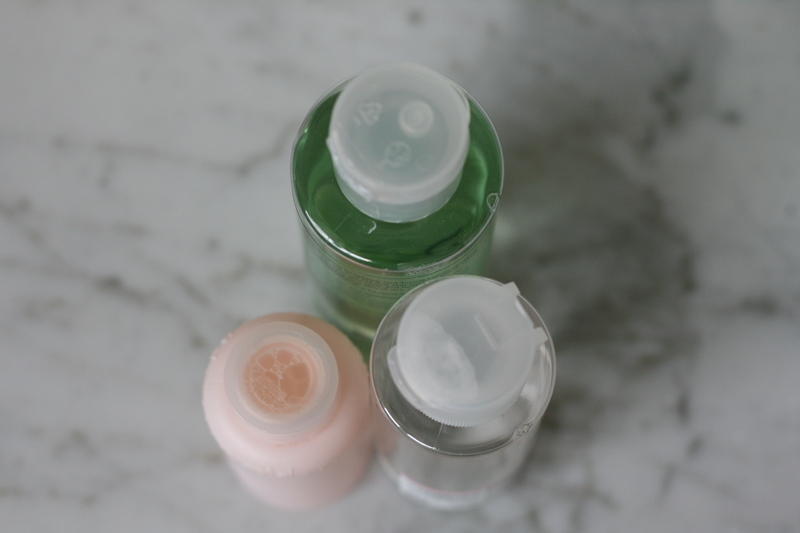 I have found parabens in almost all of my skincare products. They often show up in moisturisers, body butters, cleansers etc. Parabens have been found in biopsies of breast cancer tumours. This doesn’t prove a causal relationship, but parabens are known to interfere with the normal functioning of hormones. They are also linked to endocrine disruption, reproductive toxicity and neurotoxicity. Look for methyl-, ethyl-, propyl-, butyl-, and isobutyl- paraben on the list of ingredients. This is not actually an ingredient, but a petroleum-derived byproduct and contaminant of many cosmetic products. However, it is worth avoiding, because many authoritative bodies have declared that there is some evidence of its being carcinogenic. The US National Toxicology Programme has deemed 1,4-dioxane to be ‘reasonably anticipated to be a human carcinogen’. 1,4-dioxane contaminates up to 46% of cosmetic products. The chemical is a byproduct of the process whereby sodium lauryl sulphate becomes sodium laureth sulphate, so these ingredients are often contaminated with 1,4-dioxane. Also look out for petrochemicals, such as PEG, Petrolatum, mineral oil (paraffinum liquidum) which if not properly refined, can become contaminated. Found in almost all products that foam, like shampoos, cleansers and bubble bath. SLES can become contaminated with 1,4-dioxane, which may be carcinogenic. Also harmful to wildlife.